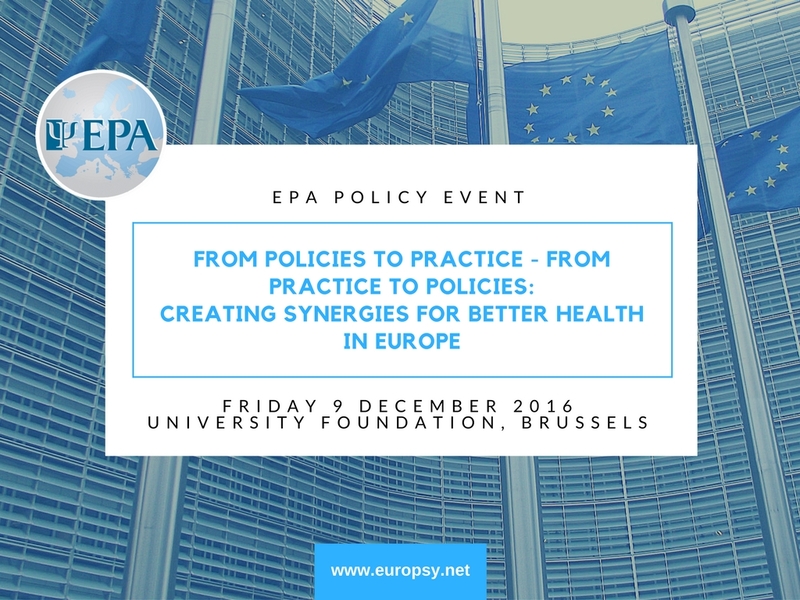 EBC member organisation, the European Psychiatric Association (EPA), would like to cordially invite you to attend the first EPA Policy Event, “From policies to practice – from practice to policies. Creating synergies for better health in Europe,” to be held in Brussels next month. The event will take place at the University Foundation (see map) at 13:30-17:00, on Friday 9 December 2016. There is a growing need for appropriate policies to be put in place to foster integrated health care across Europe and enhance overall mental health and well-being. To translate these policies into practice, more intersectoral and multi-level collaboration is needed. Through this event, EPA hopes to encourage a dialogue among interested stakeholders such as your organisation and set up the framework for concrete action. Participation is free, but please register HERE before Friday 18 November.